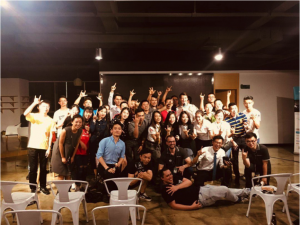 On the evening of June 5th, nearly 200 representatives of Chengdu’s blockchain community excitedly gathered at SBC China’s Innovation Space in order to celebrate the launch of the innovative EOS.IO platform at the Moonlight Launch Party. 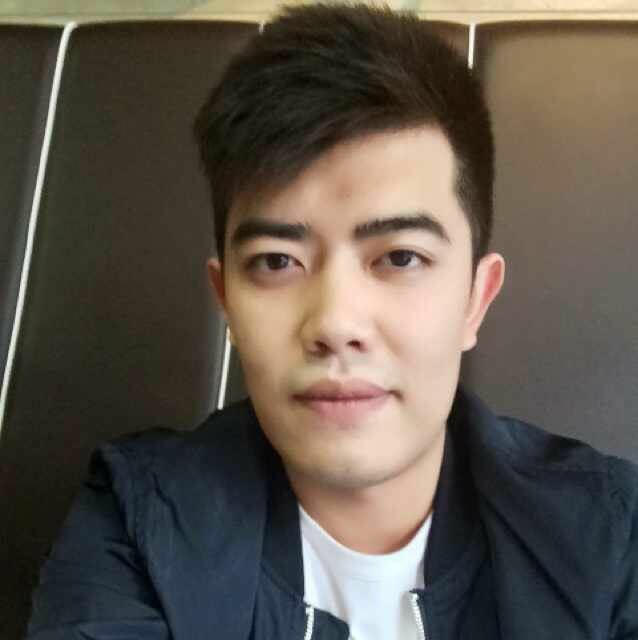 The event was jointly organized by EOS Nation, MEET.ONE and SBC China, which were joined by a host of reporting Blockchain media. 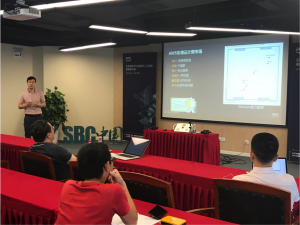 On June 7th, AWS and SBC China successfully hosted a high-end workshop on healthcare, big data, and artificial intelligence. 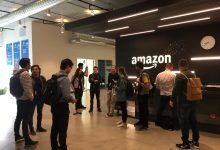 Professionals specialising in these areas came together at SBC China’s International Innovation Space, along with technical experts from Amazon’s cloud services to explore cloud technology innovation and to share success stories. 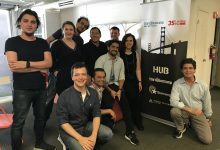 On June 15th, seven international teams from the USA, UK, Canada, Poland, Hungry, Serbia and Korea, alongside one local team facilitated by SBC China, successfully completed the Golden Panda competitive grant scheme through a virtual pitch and Q&A session. 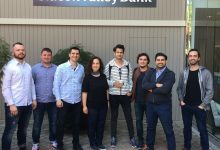 SBC China is very excited to facilitate the teams’ entry into China and look forward to introducing them to Chengdu in the near future! 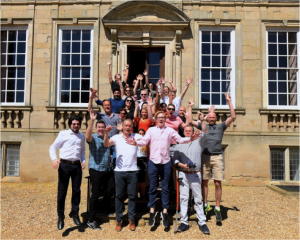 On June 25th, Steven, CEO of SBC China and 22 MDs from other SBC programs were whisked to the town of Rugby, just outside the hustle and bustle of London, to learn about each other. 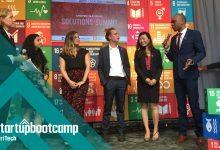 The aspiring entrepreneurs shared stories and discussed common entrepreneurial challenges as well as opportunities. 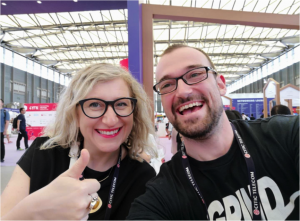 On June 27th, the 2018 world mobile conference successfully closed in Shanghai. Large enterprises, startups, industry experts and practitioners from the mobile industry gathered in Shanghai to discuss global cutting-edge mobile technology and ideas. SBC China’s Erik Ackner was invited to speak and expertly present his views on the “5G innovation and startup opportunities” panel. 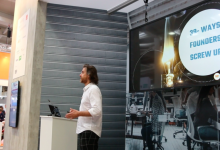 Erik elaborated on the rapid development of 5G technology set to accelerate data transmissions, and how this will create a deep impact on aspiring startups in the health industry. 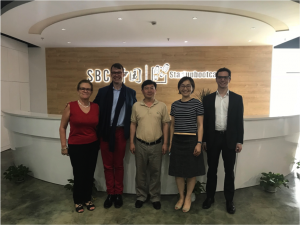 On June 28th，a duo-delegation of the French Chengdu Consulate –General and prestigious investment firm BpiFrance visited SBC China’s Chengdu Headquarters to learn about the innovation and entrepreneurship ecosystem in Chengdu. 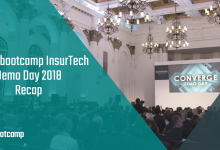 Exciting opportunities for cooperation were explored, with the purpose of substantially accelerating enterprise innovation as well as facilitating enterprises to expand internationally. 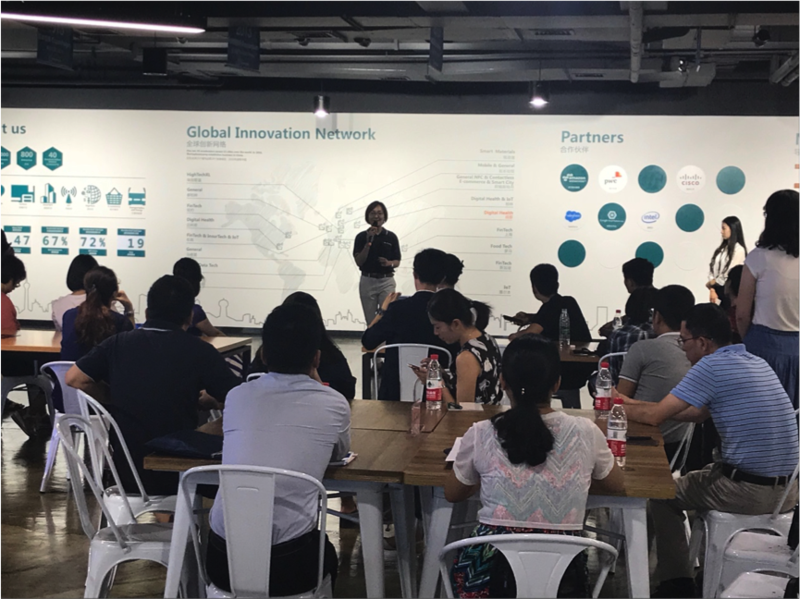 On June 29th, 71 students from the Guangxi study abroad program were welcomed to SBC’s Chengdu Innovation Space and took part in a stimulating lecture on innovation and entrepreneurship. Ms Feng Jinyue, COO of SBC China, succinctly introduced SBC to the students, and stimulated additional thoughts and insight on innovation and enterprise on an ambitious international scale.